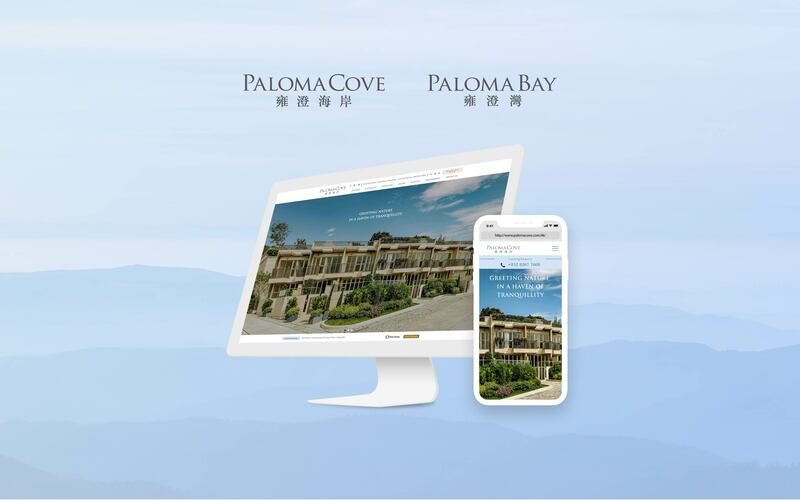 Paloma Bay and Paloma Cove by Sino Home, nestle in the small but peaceful island of Peng Chau. The exquisite development offers a rare combination of comforts of home and accessibility while remaining immersed in the beauty of nature. As suggested by its name Paloma, which is derived from ‘Palomus’, the Latin word for dove, a sign of peace. 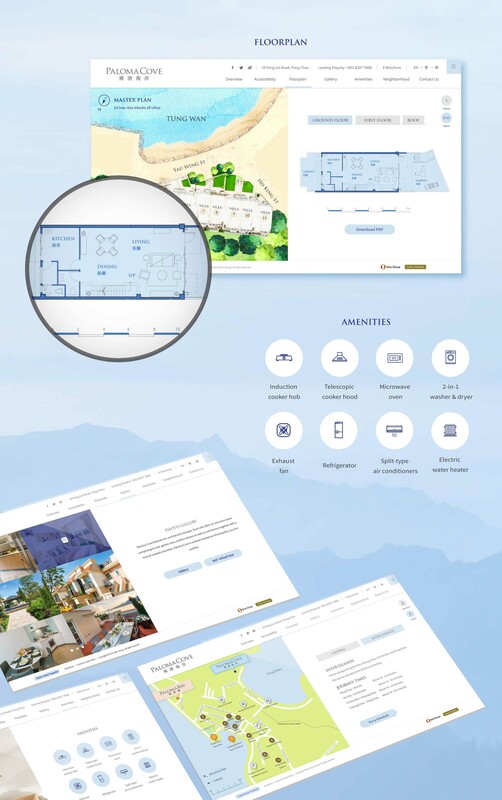 A new responsive website is designed to promote the luxury residential developments. To impress the viewers with the chic architectural designs, 360° virtual tour is added in the website to lead the viewers to explore the spaces widely.